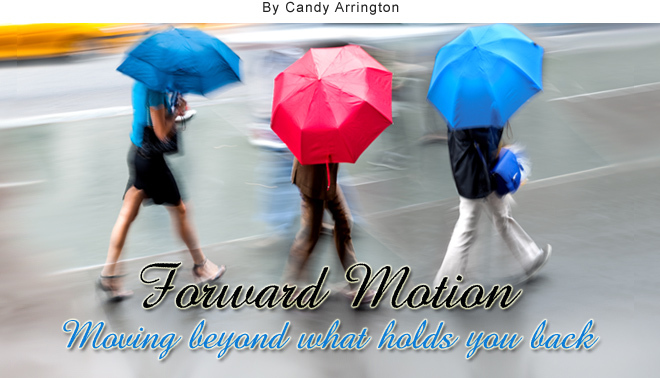 *Today marks one year of Forward Motion blog posts. Thank you for following, reading, commenting, sharing, and tweeting! Last week, I got an email promoting a book about the magic of vibrations and the acts and mindsets that increase your frequency. Usually, this type of email gets an automatic hit of the delete button, but I was curious to see what myth was being touted as truth and whether the “hook” was accurate for the actual premise. As written, the subject line sounded like something that should have been caught in by my spam filter for questionable content. However, the email suggested things that negatively affect “high vibrations,” whatever that means, and what to do about it. I’m always amazed when someone makes up something and then purports it as truth. It’s even more astounding that people are gullible enough to spend lots of money on a concept or product they haven’t researched and which is presented by someone they’ve never heard of. So many people are looking for a quick path to happiness, success, health, or wealth and plenty of companies and individuals are out there promoting the latest method (or hoax) to achieve these. But forward motion in any area of life requires more than buying a book, attending a seminar, signing up for an online course, or adopting a philosophy. Intentionality – In the writing world, I often see conference attendees who are excited by the prospect of having their work published and determined to make it happen. They attend conference after conference, join a critique group, read books or blogs about writing, and befriend published authors, but never reach the point of submitting their writing to an editor or agent. Their determination ends at the point where the next step is required to reach their goal. When working toward a goal, you have to follow through and be willing to risk rejection or course correction. Sometimes, activity feels like forward motion, but your effort is expended in a lateral direction. Make sure intention is coupled with action that moves you toward your goal, even if it means you might get answers you don’t want. Perseverance – The definition of perseverance is continued effort to do or achieve something despite difficulties, failure, or opposition. Perseverance is the stick-to-itiveness that keeps you from giving up and finds a way around when you encounter roadblocks. Perseverance gives you the ability to envision the finish line and keep your eyes on the horizon even when the road around you feels like it’s crumbling or curving into a dark valley. Perseverance isn’t about quick; it’s about steady. Discernment – Those who peddle ideas or products are skilled at making you feel you’re going to miss out if you don’t respond quickly. If you don’t act within x-number of minutes, others will get ahead of you and you’ll lose the chance to acquire the latest, greatest, most beneficial, revolutionary, life-changing product, information, or opportunity ever available. They play on your feelings of inadequacy with a sense of urgency that often makes you ignore the internal voice that says, Wait a minute. Think about this. Employing discernment give you the wisdom and insight to perceive what lies beneath the hype and separate fact from fiction. The world is full of many voices that advise, promote, coax, and steer. Only with perception can you avoid being swept away by ideas and activities that lead you off the path of forward motion, promote confusion, and leave you disillusioned. Take time to think through what others present as truth. Pray. Study. Wait. Then move forward with conviction and faith, trusting what you know from experience and discernment to be truth. Take time to think through what others present as truth.